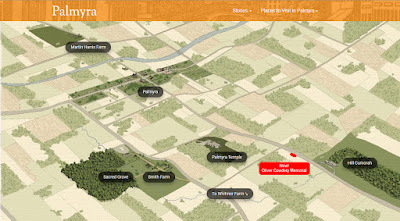 Many readers know we bought property near Palmyra which is becoming the "Oliver Cowdery Memorial" site. I'm going to discuss it at the Book of Mormon conference on April 6th, so I'm not going to discuss the details on this blog, but so many people have asked about it I wanted to at least explain where it is. You are acquainted with the mail road from Palmyra, Wayne Co. to Canandaigua, Ontario Co. N.Y. and also, as you pass from the former to the latter place, before arriving at the little village of Manchester, say from three to four, or about four miles from Palmyra, you pass a large hill on the east side of the road. The new Oliver Cowdery Memorial is on this very mail road. 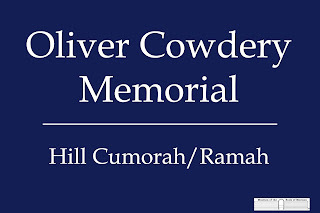 It's the perfect location to explain President Cowdery's role in the Restoration, his connections with Palmyra and the Hill Cumorah, and the importance of Cumorah in Church history and the Book of Mormon. Here's the map of the area, showing the location of the memorial. Someday, I hope the exhibits are on display on top of the Hill Cumorah, where people should be learning about the importance of this site. But until then, the thousands of annual visitors to Palmyra will be driving between the Hill Cumorah and the Sacred Grove. 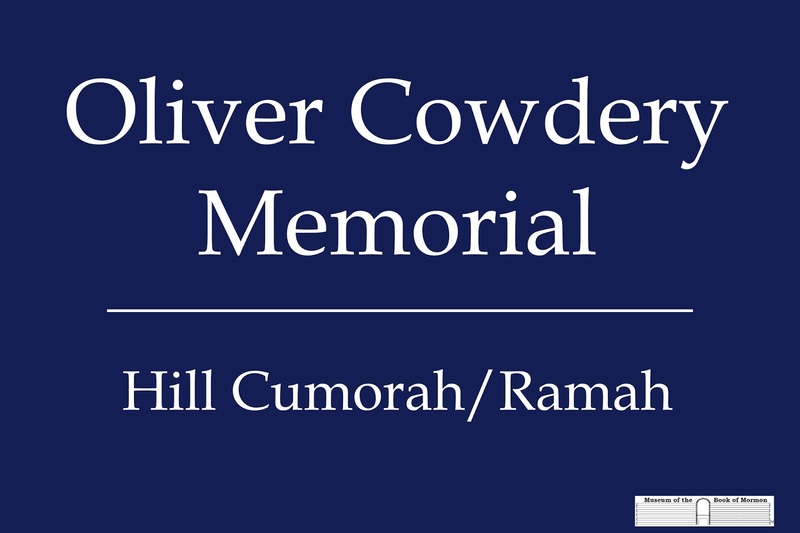 They will all drive by the Oliver Cowdery Memorial in both directions. 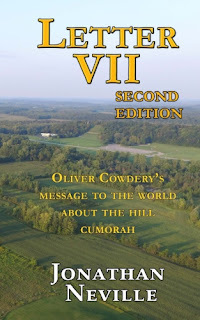 Now they can stop learn all about Letter VII, the words of the prophets, the 3 reasons to visit Cumorah, and how Cumorah fits with the North American setting. This is going to be an epic summer of education about Church history and the Book of Mormon.